Is it time to tweet? Tips for improving your social media management. Social media. It has revolutionised our lives by allowing us to communicate, in real time, with whomever we want, whenever we want. It’s about interactions 24/7. As a B2B marketer, you’ll know using social media can give a real boost to your business and your brand. It allows you to communicate with people who are interested in what you have to say and actually need what you have to sell. 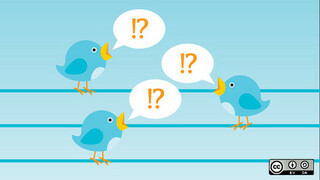 But do you know when is the best time to tweet, blog or update your Facebook page with the latest offers or information? I was listening to a great radio programme the other day “The Social Media Show”. OK, it’s hosted by Equinet Media's very own Eric Swain, but I would say it was great even if that wasn’t the case! Her point about gauging the right time to do "social" was aimed at the B2C market (for instance, engaged couples will very often be in bed reading the papers and engaging with their networks at 10am on Saturday, while busy mums might find time to check in on social media sites just before school pickup, etc). And, naturally, preferred "social" times also hold true – if not more so – for the B2B crowd. We know that B2B social media has to work a bit harder and a bit smarter. Your targets are busy executives who have to make buying decisions based on information. You’ve got to make it worth their while to take the time to read what you have to say. And it’s going to have to be truly remarkable for them to share that information with their friends or business network. So let’s say you’ve got the content bit right. You’re sending out entertaining, informative and truly valuable information. Your target audience will love it. How do you make sure they will see it? At which point in their day or week does your audience turn their attention to social media? In the “olden days” (about 9 years ago!) you’d never send out anything after 3:00pm on a Friday afternoon because people were tied to emails at their desks. But, now with tablets and mobile phones, those same people, when they leave the office, might hop on a train or tube for the ride home and are probably looking for interesting things to read and think about. And of course, back then in the dinosaur age, you never sent anything out on the weekends. No one is in the office! But today, weekends might actually be the best time to tweet. 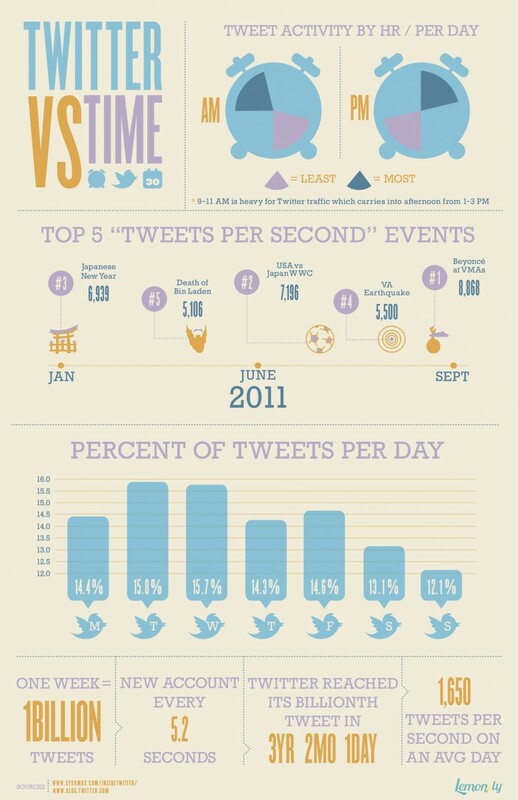 According to this infographic by Lemon.ly, the heaviest Twitter traffic happens between 9-11am and 1-3pm. Tuesday and Wednesday seem to be the busiest days. Of course, if you’re dealing with an international customer base, keep time zones in mind! Another study by Izideo showed that people are more likely to click on Twitter links at the end of the week and on weekends. There are lots of tools, both paid and free, out there that can help you to determine the best time to tweet – some are based on the performance of previous tweets, some analyse the online behaviour of your followers, others help you to evenly space out your tweets. If you're trying to reach a very specific audience (and who isn't these days?! ), it might be worth checking them out. Fans are less active on Sunday than on any other day of the week. The most important thing you can do to figure out the best time to engage with your audience, is to establish your buyer personas. Once you’ve established who you’re talking to, then you can figure out how and when they are most open to new messages, for example, by using your own marketing metrics or else, by asking them directly. Knowing when users are engaging and interacting with your content or social feeds can be crucial to getting the most effective message across. Do you have any tips for the best times to engage with customers using social media? We'd love to hear your thoughts.